This valuable and hard-to-come-by resource is: Spare time. It seems there’s always too little of it available in a given day to tackle all the tasks that need to be completed. This is where automation comes into the picture. Between store operations, fulfilling orders, and marketing a website, there are never enough hours in a day to run a business and maintain a well-rounded life outside of it. 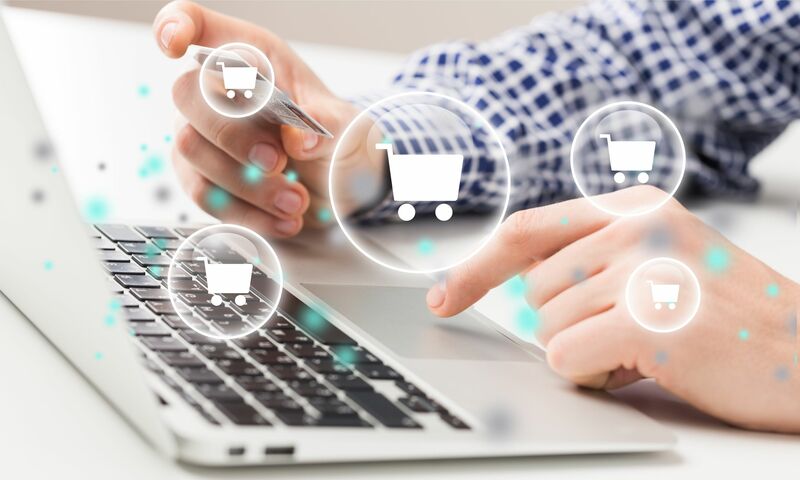 But, by automating as many processes as possible, e-tailers can focus their time on higher priorities while still seeing an increase in sales and customer loyalty as a result. There’s a reason why 91% of businesses agree that automation is vital to their overall success. It has saved them 200 million decisions and 1.6 million hours of work, per Shopify. eCommerce automation has also generated $2 billion in pre-scheduled sales. Here are 7 immediate benefits of eCommerce automation that you should consider implementing today. Doing so will help you get the highest return on investment for your time. Email marketing is still the No. 1 growth channel for eCommerce, according to the latest reports from BigCommerce. It is a fast and free way to connect with your customers and leads. According to recent studies, you will connect with them; research finds that people check their inboxes at least 15 times per day. There are some easy ways to incorporate automated email marketing, such as welcome emails, drip campaigns, newsletters and “thank you” emails. Each serves a unique purpose to draw customers to your site, too. Don’t forget to personalize the emails you send. Research from Aberdeen finds that personalized email messages improve click-through rates by an average of 14% and conversions by as much as 10%. Social media is one of the most effective ways to drive consumers to your online store and has proven to be a powerful marketing and branding tool for e-tailers. Facebook influences over 52% of consumers' online and offline purchases (The Drum, 2018). Link clicks account for 92% of all user interaction with Tweets (HubSpot, 2018). 50% of Instagrammers follow brands, making them the social networkers who are most likely to do so. (Brandwatch, 2017). 93% of Pinterest users visit the site with an intent to purchase (Marketing Land, 2015). 74% of consumers use social networks to make a purchasing decision (ReadyCloud, 2018). Each social channel has its own advertising capabilities, but they all allow you to set campaign start and end dates. This means that promoted posts can align with any other campaigns you set and forget. It’s true social automation that saves you time, effort and money. By using an automated launch system like Shopify’s Launchpad, you can release new products at set times. This takes the stress out of debuting products on your site, so you can focus on other areas of managing your business. Shopify’s latest report is centered on Frankie’s Bikinis, which auto-launched a new line and realized a return of over $150,000 in revenue in a single hour, with a popular style selling out in under two minutes. As you can see, the powerful nature of automated product launches is undeniable. For total optimization, sync product launches with automated emails and social advertising to watch a holistic campaign effortlessly come to life. Inventory is a tricky business when you’re an e-tailer. There is a delicate balance you must maintain between having enough of each product so that it doesn’t sell out and in not keeping so much that it wastes valuable storage space. The good news is that are are solutions to automate your inventory management, such as aACE Software. Inventory is integrated seamlessly throughout the entire aACE solution. The additional company-wide visibility allows each of your departments to plan more productively and accurately, eliminating costly mistakes and reducing the need for excess inventory. For aACE client Restylers’ Choice, that streamlined inventory management freed up 2,000 square feet of warehouse space and allowed them to eliminate a conveyor belt in each warehouse. More than 90% of shoppers have responded that they’re always on the hunt for deals online. What better way to draw them in than by hosting an event in your store that is full of bargains for them to explore? You can also get their attention by featuring coupon codes, which 68% of consumers say generate brand awareness and loyalty. Flash sales are easy to automate. Simply set the discounted prices of items to only apply between certain dates and ship off the announcement in your next big newsletter. Given the aforementioned email marketing stats, you’re assured engagement, click-throughs and conversions by offering these valuable deals to your existing customers. Right now, cart abandonment costs retailers an estimated $4 trillion per year, and Baynard found the average cart abandonment rate is at almost 70%. However, with the right tools, you can automatically bring back consumers who were just shy of checkout on your site. One such tool is the Facebook Pixel, which serves up advertisements across the Internet to consumers who have visited your site. This retargeting is done automatically, once the tool is installed, and will bring shoppers back to your site while delivering key metrics that you can use to improve your automation efforts. Another way to retarget potential customers is by sending them a retargeting email. Though capturing someone’s email may be more difficult to do, it is well worth it, and it can be automated with tools like OptinMonster. SaleCycle reported $8.21 in revenue generated with every retargeting email sent. As proven by statistics, automated retargeting really works. So make sure you add to your list of to-dos when trying to put your online store into autopilot.